Premium Charcoal BBQ Grill Rotisserie Ring with universal fit for your 57cm Kettle Charcoal Grill. Stainless steel Rotisserie Ring providing a tight fit and with 2 handles for easy carry on your Charcoal Grill. Heavy duty electric 220 - 240V Rotisserie Motor for up to 20 pounds / 10kg balanced capacity. One complete spit for additional strength. Perfect for Weber, Char Broil, Kingsford and Jumbo Joeand other 57cm outer diameter Kettle Charcoal Grill. Looking for ideal Stainless Steel Kettle Rotisserie Manufacturer & supplier ? We have a wide selection at great prices to help you get creative. All the Charcoal BBQ Kettle Rotisserie Spit Ring are quality guaranteed. 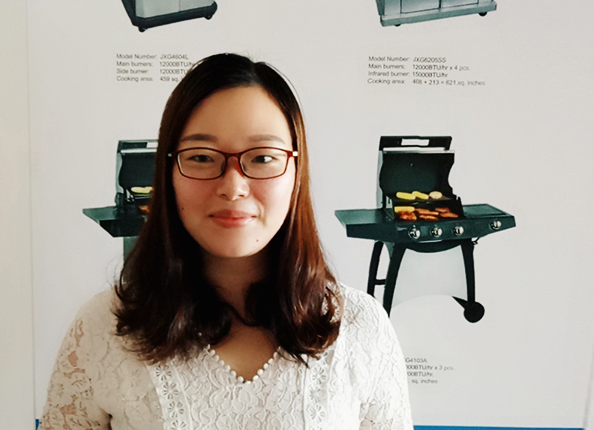 We are China Origin Factory of BBQ Kettle Rotisserie Spit. If you have any question, please feel free to contact us.